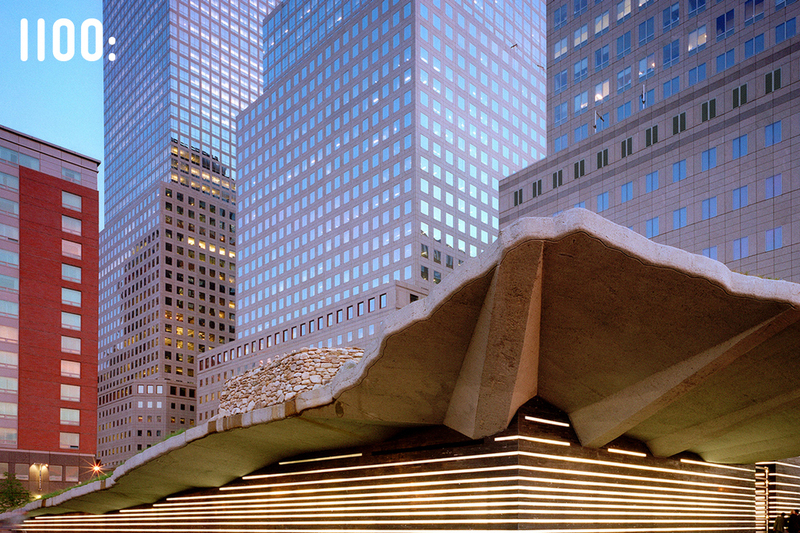 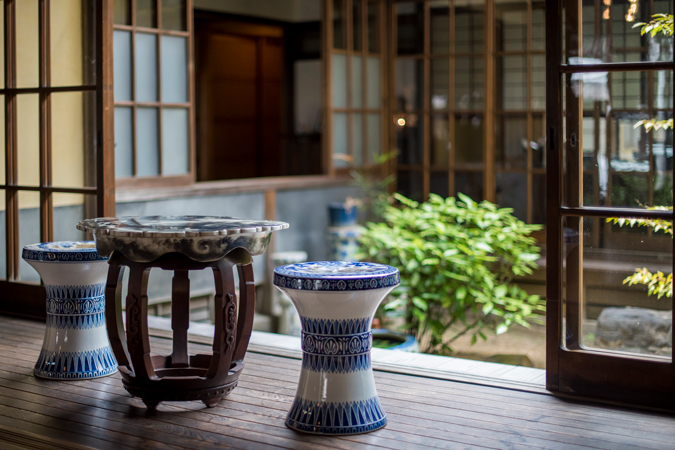 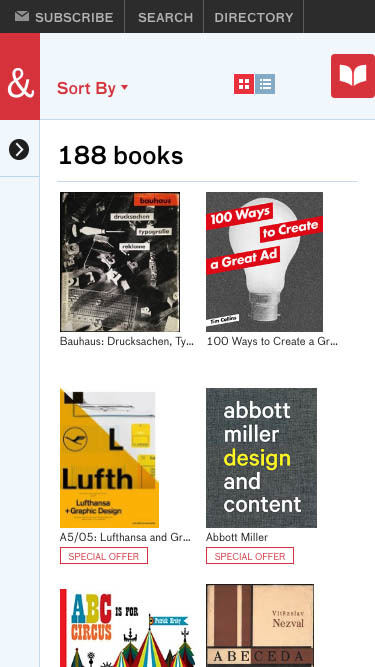 Designers & Books advocates the importance of books as a source of inspiration for creativity and innovation. 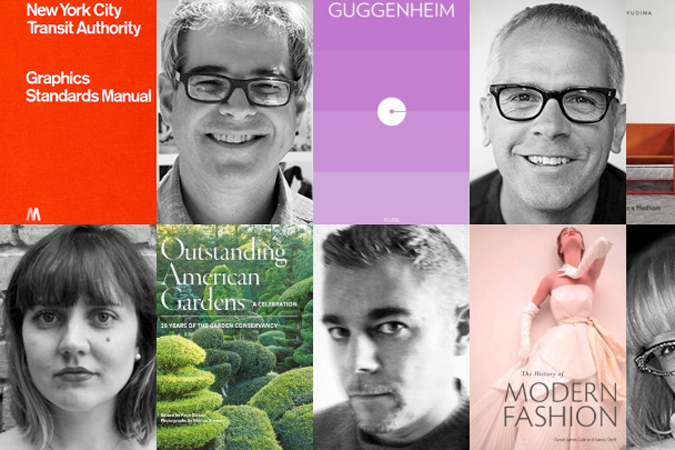 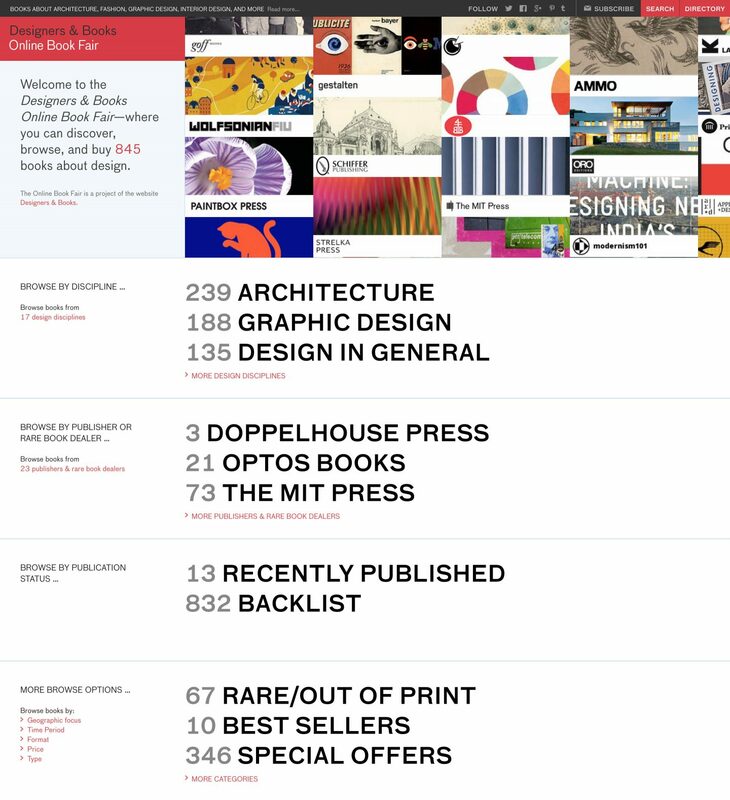 What started as a website featuring book lists from esteemed designers now houses over 1,700 books aggregated from 150+ designers’ book lists and daily articles for those interested in books about design. 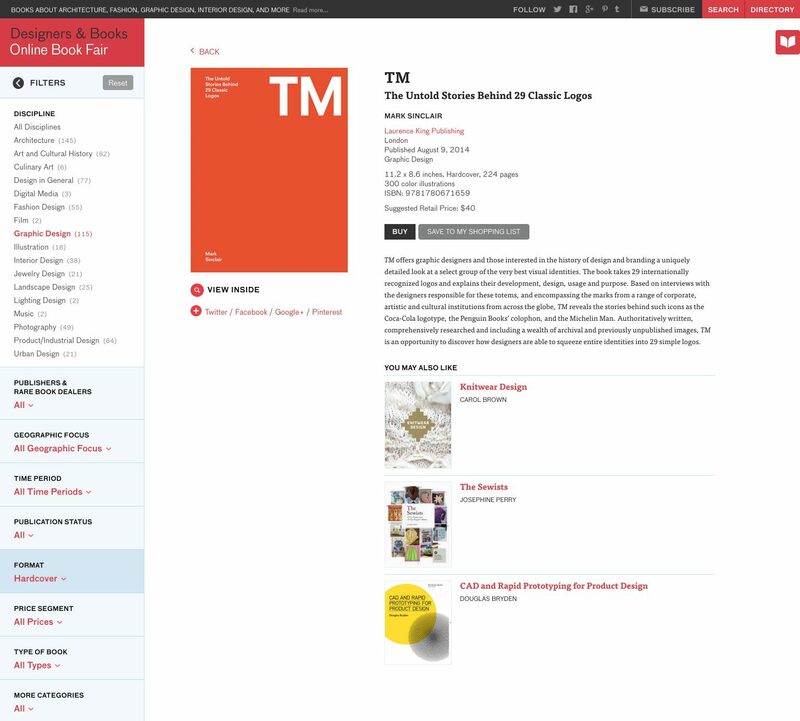 We refreshed the user interface design on the homepage and throughout the website, allowing readers to browse and discover more content based on their interests. 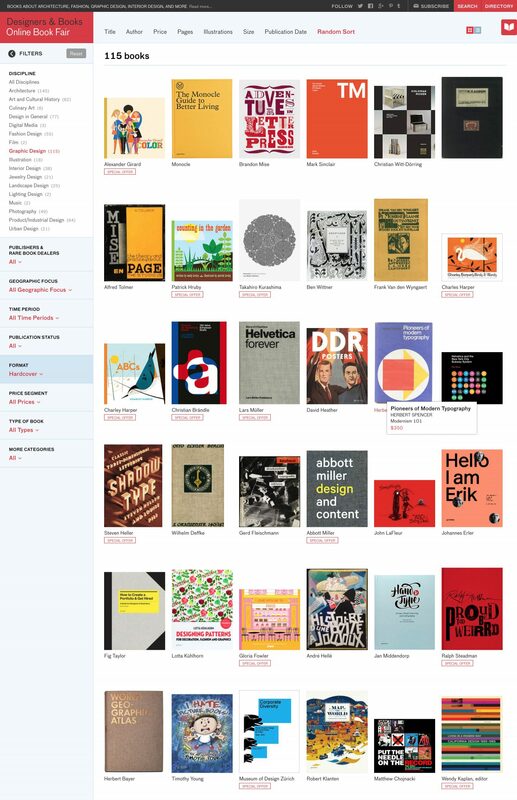 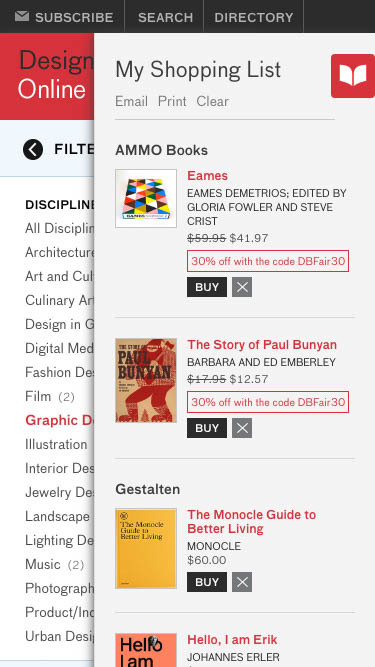 We designed and developed the first-ever Online Design Book Fair, which combines the serendipity and spontaneity of browsing in a bookstore with granular searching, sorting, and filtering capabilities. 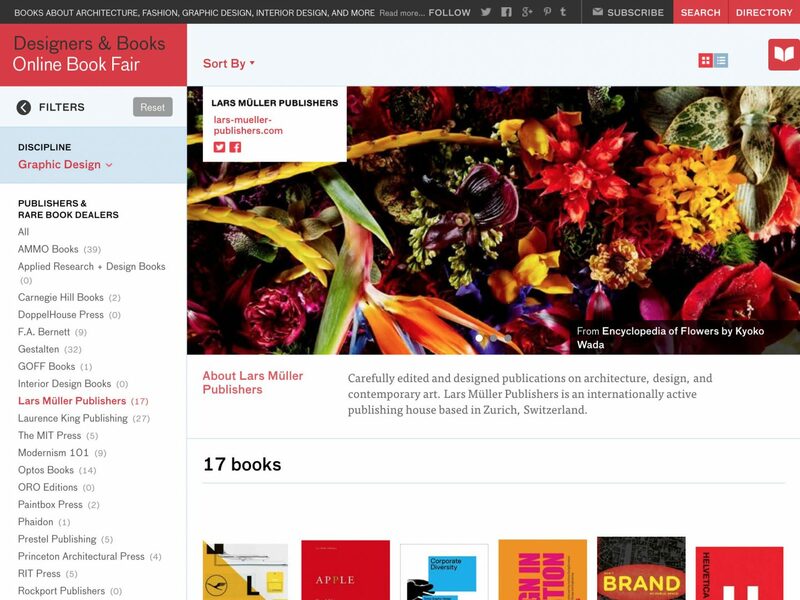 The web-application is deceptively simple, making book browsing both enjoyable and informative while encouraging readers to discover, love and share more books.